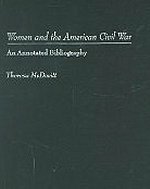 During America's most divisive war, both the Union and Confederacy took advantage of brave and courageous women willing to adventurously support their causes. 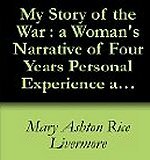 Among her accomplishments was the ten-word secret message she sent to General Pierre G.T. Beauregard which ultimately caused him to win the battle of Bull Run. 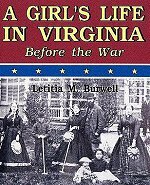 She spied so successfully for the Confederacy that Jefferson Davis credited her with winning the battle of Manassas. She was imprisoned for her efforts first in her own home and then in the Old Capital Prison. Despite her confinement, Greenhow continued getting messages to the Confederacy by means of cryptic notes which traveled in unlikely places such as the inside of a woman's bun of hair. 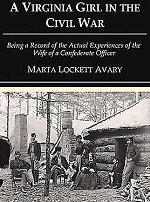 After her second prison term, she was exiled to the Confederate states where she was received warmly by President Jefferson Davis. 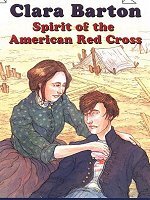 Her next mission was to tour Britain and France as a propagandist for the Confederate cause. Two months after her arrival in London, her memoirs were published and enjoyed a wide sale throughout the British Isles. In Europe, Greenhow found a strong sympathy for the South, especially among the ruling classes. During the course of her travels she hobnobbed with many members of the nobility. She was received at the court of Queen Victoria and became engaged to the Second Earl Granville. In Paris, she was received into the court of Napoleon III and was granted an audience with the Emperor at the Tuileries. In 1864, after a year abroad, she boarded the Condor, a British blockade-runner which was to take her home. Just before reaching her destination, the vessel ran aground at the mouth of the Cape Fear River near Wilmington, North Carolina. In order to avoid the Union gunboat that pursued her ship, Rose fled in rowboat, but never made it to shore. Her little boat capsized and she was dragged down by the weight of the gold she received in royalties for her book. In October 1864, Rose was buried with full military honors in the Oakdale Cemetery in Wilmington. Her coffin was wrapped in the Confederate flag and carried by Confederate troops. The marker for her grave, a marble cross, bears the epitaph, "Mrs. Rose O'N. Greenhow, a bearer of dispatchs to the Confederate Government." 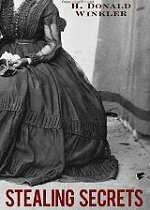 Allan Pinkerton found himself in an awkward position outside the home of Rose O'Neal Greenhow, one of Washington's most prominent hostesses. 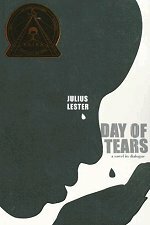 The head of the famed detective agency--imported from Chicago by the Union to track and capture rebel subversives operating around the capital--stood barefoot in the pouring rain, balancing himself on the shoulders of two associates, trying to see and hear what he could through a second-story parlor window. American counterespionage was in its infancy in 1861, but Pinkerton's quarry was no beginner. From her home on 16th Street NW, noted by Confederate Gen. P.G.T. 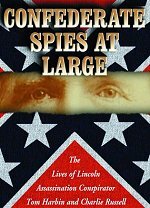 Beauregard as being "within easy rifle-range of the White House," Greenhow was running a spy ring meant to undermine the Union war effort. 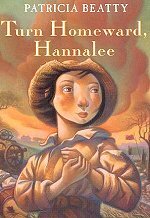 "To this end," she later wrote, "I employed every capacity with which God had endowed me, and the result was far more successful than my hopes could have flattered me to expect." While she may have overestimated her achievements, her efforts on behalf of the South were relentless. "She did a better job than most in infiltrating the political and military elite of Washington," says Tyler Anbinder, associate professor of history at George Washington University. "She flattered men into revealing sensitive information." 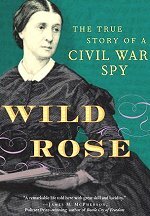 Washington has seen plenty of covert operatives, as well as highly connected grand dames, but "The Rebel Rose," as Greenhow was sometimes called, managed to unite the two professions in herself, and, in the process, added a unique chapter to the city's long history of deeply held Southern sympathies. She came to town as a young girl, sent from Rockville to live at the Old Capitol with an aunt who ran an inn there. The building, on the site now occupied by the Supreme Court, was constructed as a temporary home for Congress after the original Capitol was burned during the War of 1812. Years later, after the Old Capitol was converted to a prison during the Civil War, Greenhowwould reside there again--this time as one of the Union's more celebrated captives. 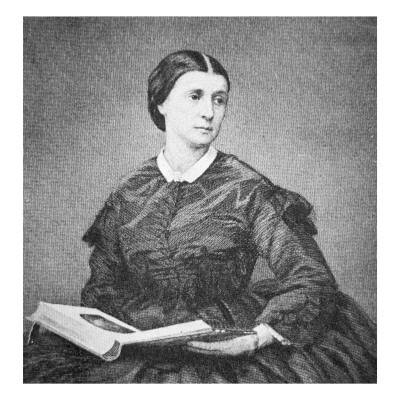 With her charm, intellect and ambition, as well as through her husband, Robert, a State Department official whom she married in 1835, Rose Greenhow came to know virtually everyone of importance in Washington. Dolley Madison, Daniel Webster and President James Buchanan were among her many friends and intimates. No one was closer, however, than John C. Calhoun, the powerful statesman from South Carolina who variously served as senator, secretary of state and vice president. As one of the great intellectual progenitors of the Southern Confederacy, he won Greenhow's eternal admiration and devotion. 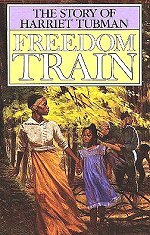 "I am a Southern woman," she wrote, "born with revolutionary blood in my veins, and my first crude ideas on State and Federal matters received consistency and shape from the best and wisest man of this century." As her idol suffered through his final illness at the Old Capitol in 1850, Greenhow was in constant attendance. 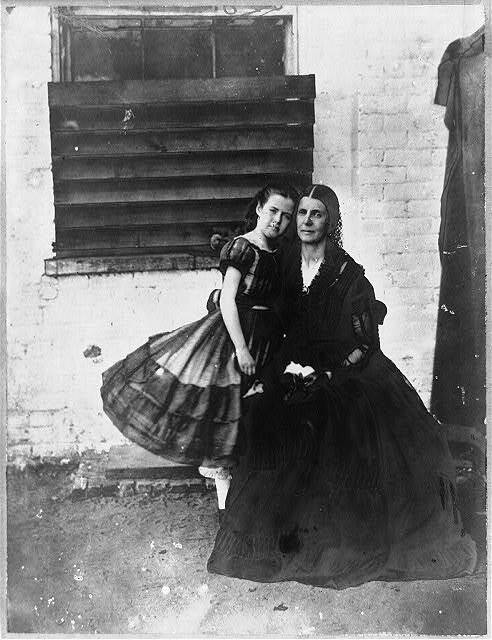 Calhoun's memory remained sacred to her, and fueled her increasingly fanatic devotion to the Southern cause as Civil War approached. An uncomfortable chill swept through one of her dinner parties in the winter of 1859 when Abigail Adams, wife of presidential scion Charles Francis Adams, professed sympathy and admiration for the radical abolitionist John Brown, who had recently been hanged. With sectional feeling festering just below the surface, polite society in Washington assiduously avoided the topic of John Brown as simply too hot for discussion. Greenhow, however, had no hesitation in challenging Adams. "I have no sympathy for John Brown," she snapped. "He was a traitor, and met a traitor's doom." While Greenhow later professed to have regretted this breach of gracious hostessing, she would never temper or compromise her fierce Southern loyalties. 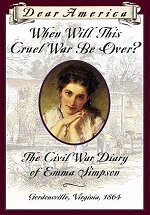 It was this fervor--along with her many intimate connections in the capital--that made Greenhow, now a 44-year-old widow, a prime rebel recruit when the Civil War finally broke out in April 1861. 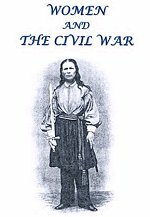 She proved her worth as a spy in a very short time, supplying to Gen. Beauregard the information that Federal troops would be advancing on Manassas in mid-July. Her courier, a young woman named Betty Duvall, rode out of Washington by way of the Chain Bridge dressed as a country girl. Meeting Gen. Milledge L. Bonham at the Fairfax County Courthouse, Duvall advised him that she had an urgent message for Gen. Beauregard. "Upon my announcing that I would have it faithfully forwarded at once," Bonham later recalled, "she took out her tucking comb and let fall the longest and most beautiful roll of hair I have ever seen. 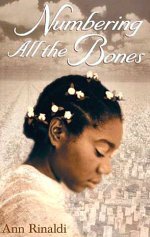 She took then from the back of her head, where it had been safely tied, a small package, not larger than a silver dollar, sewed up in silk." 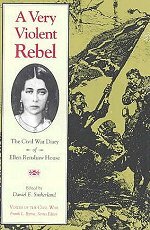 As author Ishbel Ross noted in the book "Rebel Rose," "Greenhow had ciphered the message. Greenhow had sewn it in silk. Greenhow had obtained the information." 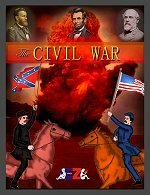 Though historians debate the ultimate impact of her messages on the First Battle of Bull Run, both Beauregard and Confederate President Jefferson Davis honored her for her contribution to the rout of the Northern army in this opening conflict of the Civil War. "Had she not leaked word [of the Northern advance], I don't think anything would have happened differently," says GWU's Anbinder, explaining that Beauregard had a number of sources of information, "but it served to embarrass the North that a woman could obtain such sensitive information." 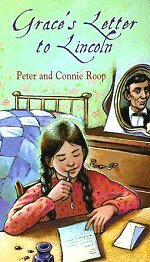 Indeed Greenhow's covert activities did attract unfavorable attention in Washington, and soon enough Allan Pinkerton was peeping into her windows. "She has made use of whoever and whatever she could as mediums to carry out her unholy purposes," the detective reported with just a hint of hyperbole. 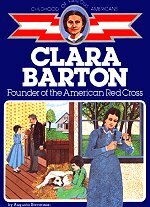 "She has not used her powers in vain among the officers of the Army, not a few of whom she has robbed of patriotic hearts and transformed them into sympathizers with the enemies of the country which made them all they were. . . . With her as with other traitors she has been most unscrupulous in the use of means. Nothing has been too sacred for her appropriation so as by its use she might hope to accomplish her treasonable ends." Despite the fact that she was being watched, and well knew it, Greenhow continued to operate with bold defiance. She soon found herself under arrest. 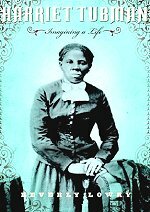 "I have no power to resist you," she declared grandly after challenging Pinkerton's authority to seize her, "but had I been inside of my house, I would have killed one of you before I had submitted to this illegal process." The dramatic flair she demonstrated when captured would characterize much of her time in captivity. Under house arrest, she grew indignant that her home was being ransacked in the search for incriminating evidence, and that she was subject to constant surveillance. 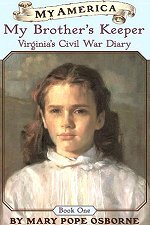 "She wants us to know how her delicacy was shocked and outraged," Civil War diarist Mary Chestnut recorded. "That could be done only by most plainspoken revelations. For eight days she was kept in full sight of men--her rooms wide open--and sleepless sentinels watching by day and by night. Soldiers tramping--looking in at her leisurely by way of amusement. . . . She says she was worse used than Marie Antoinette when they snatched a letter from the poor queen's bosom." Other female prisoners were sent to Fort Greenhow, as Rose's home came to be known--most of them "of the lowest class," as she called them. During her home confinement, Greenhow managed to continue her secret communications with the South. A letter she had sent to Secretary of State William H. Seward complaining of her mistreatment, in fact, was published in a Richmond newspaper. Because of all the leaks, Fort Greenhow was closed in early 1862, and Rose was transferred to the Old Capitol Prison, along with her 8-year-old daughter, Little Rose. Ironically enough, they were confined in the very same room in which Greenhow had comforted her dying hero, Sen. Calhoun, more than a decade earlier. 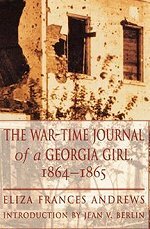 It was with this imprisonment that Rose was of greatest service to the South, according to Princeton University's James McPherson, far more than the information she secretly provided. 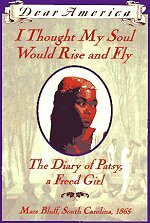 "They made her a martyr in the eyes of the Southern people," McPherson says. 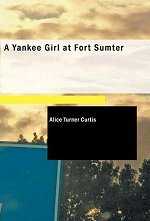 "The brutal Yankees who would imprison a mother and child provided ammunition for the Confederate propaganda mills." In the squalid--yet hardly brutal--confines of the Old Capitol, Greenhow played the role of martyr for all it was worth. Mary Chestnut commented sardonically on this in her diary, while a fellow prisoner named Augusta Morris wrote, "Greenhow enjoys herself amazingly." In March 1862, Greenhow was given a hearing on the charges of espionage. The prisoner was defiant throughout. 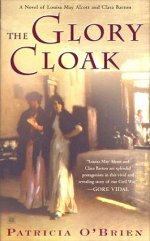 "If I gave the information you say I have," she taunted, "I must have got it from sources that were in the confidence of the government. . . . If Mr. Lincoln's friends will pour into my ear such important information, am I to be held responsible for all that?" 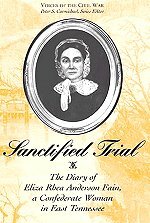 With the hearing clearly not accomplishing anything--and a formal trial thought to be too incendiary--the judge decided it would be best to exile the prisoner from Washington, sending her south with the pledge not to return during the course of the war. She left the Old Capitol Prison draped in a Confederate flag, and was greeted as a hero by the elite in Richmond when she later arrived there. "Had Madame Greenhow been sent South immediately after her arrest," opined the New York Times, "we should have heard no more of the deeds of Secesh women which she has made the fashion." After a brief stay in Richmond, Greenhow was sent to Europe to generate vitally needed support for the Confederacy. Napoleon III and Queen Victoria both received her, and her book, "My Imprisonment and the First Year of Abolition Rule at Washington," was published in Britain and became a bestseller there. Tragedy struck, however, as Greenhow returned home in 1864. Her ship ran aground along the North Carolina coast, and Rose, fearing capture by Union ships blockading the area, demanded that she be taken ashore in a smaller boat. The ship's captain reluctantly agreed to let her go, despite a raging storm, and she carried with her several small mailbags, presumed to be secret dispatches from Europe, as well as a large quantity of gold. The little boat capsized in the darkness and rough surf, though, and Rose Greenhow was lost. Her body subsequently washed ashore and was found by a Confederate soldier, who discovered the gold and snatched it before pushing the body back into the water. When the corpse was rediscovered and identified, the soldier was reportedly overwhelmed by guilt and returned the gold. Rose O'Neal Greenhow was buried with full Confederate military honors in Wilmington, N.C. The inscription on her tomb reads in part: "A bearer of dispatches to the Confederate Government." "Her death," wrote Ishbel Ross, "had the epic touch in which she herself would have gloried."